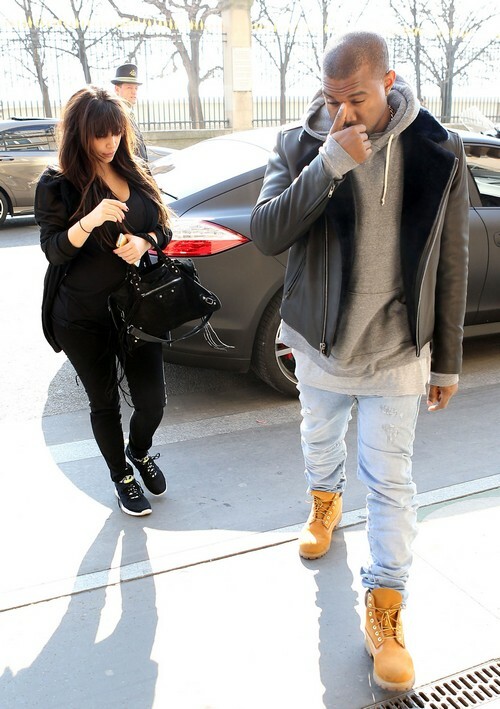 Kim Karadshian and Kanye West are done! Kim’s worse nightmare! Keeping up with the Kardashian star Kim Kardashian and rapper Kanye West are all over but the crying. Allegedly the news is being kept quiet until Kourtney and Kim take Miami wraps up it’s season and after Kanye’s new album is released this summer. Money is everything to the couple and they don’t want to lose one penny, so that is why they are waiting. Kim is currently six-months pregnant with her first child and Kanye is the father. If the two wait till the summer to split their new child will be born. Not only is MTO reporting the split but this morning In Touch is reporting that Kanye has been getting cozy with a blond in Paris. Kim is so upset she is chowing down and her weight continues to balloon. It does not sound like things are going great for Kim who is gearing up for her May 6th, 2013 divorce trial with her ex Kris Humphries. Word on the street is Kris has proof that Kim never loved him. Sounds like Kim is facing, stress, stress, stress…..